Happy anniversary, Mickey Mouse! Celebrate 90 years of Disney magic with a limited edition hanging charm, crafted from sterling silver with his milestone number in 14ct gold. This charm is available online and in-store for a limited time only while stocks last. 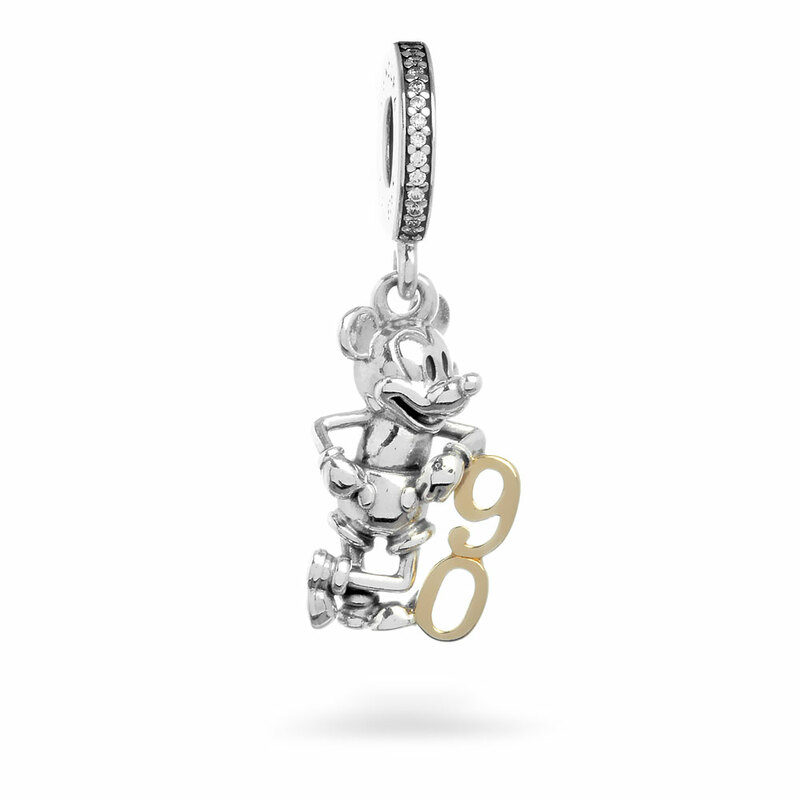 Limited Edition Disney Mickey's 90th Anniversary Hanging Charm is rated 4.4 out of 5 by 7. Rated 1 out of 5 by Dan1 from Received without the gift box If anyone of you are looking at this, please do not buy unless you are prepare to not to received the limited edition gift box. Rated 5 out of 5 by Subha from Love it ! Limited Edition ! Huge Mickey Fan & truly a treasure to my Mickey collection ! Rated 5 out of 5 by SoniaBb93 from Disney freak I have received this charm for Christmas and I loved it!! I’ve been looking at it for a long time but couldn’t justify spending the money with two small children. So happy! Rated 5 out of 5 by izz04 from beautiful ring i brought this for my mom today for Christmas 15/11 and its amazing!